As far back as Woodstock (and probably even earlier) festivals have existed to bring people together – despite how increasingly digitally focused our world gets. There’s a magic to that and, like a true romance, it’s something we all want to protect. 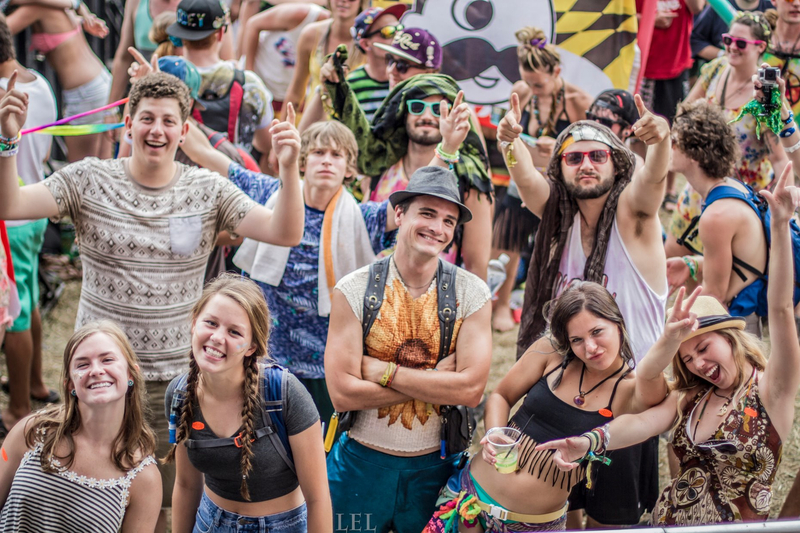 Strangely, while many festivals are often hailed for the inner change they inspire within participants, we rarely test the influence festival­-goers themselves can have on the industry. Change can come from within, but sometimes it's the feedback we get from the outside that proves to be the most profound. After all, how good can a festival be if it doesn't listen to its audience? Perhaps what festivals need now is a creative instigator of the people, someone to push the festival world towards a sustainable future, the way Elon Musk is doing for the automotive industry. Enter Tucker Gumber, otherwise known as The Festival Guy. Who Is The Festival Guy? A music lover to the core, Tucker Gumber worked as a DJ for Colorado State University's radio station. Like many of our college years, he attended shows regularly and developed a voracious appetite for music. After graduating and relocating to Los Angeles he spent a few years working to create the kind of life we’re all bred to believe is "the dream." He got a 9-to-5 sales job, and for four years he rode the roller coaster of angst that typically follows. Despite his success in the role and a six-­figure income, Gumber found himself disenchanted by the sad state of the real world. Eventually, he connected with a squad of friends that saw his need for an outlet and they suggested a group adventure to Colorado's wintery Snowball Music Festival . 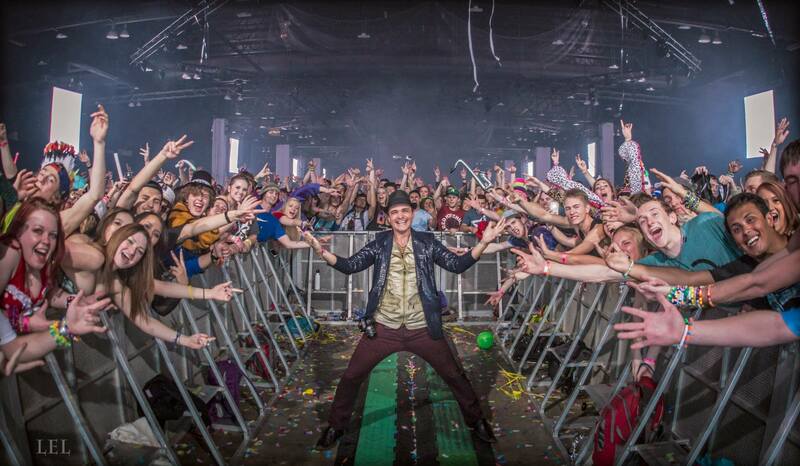 That experience became Gumber’s first step onto the main stage of the festival scene. Having heard the call of the festival community, he dedicated himself to attending these events with all the resources he could muster and made it to ten festivals in total that year, including Burning Man . Today, he’s attended nearly 100 festivals and is recognized by festies everywhere. 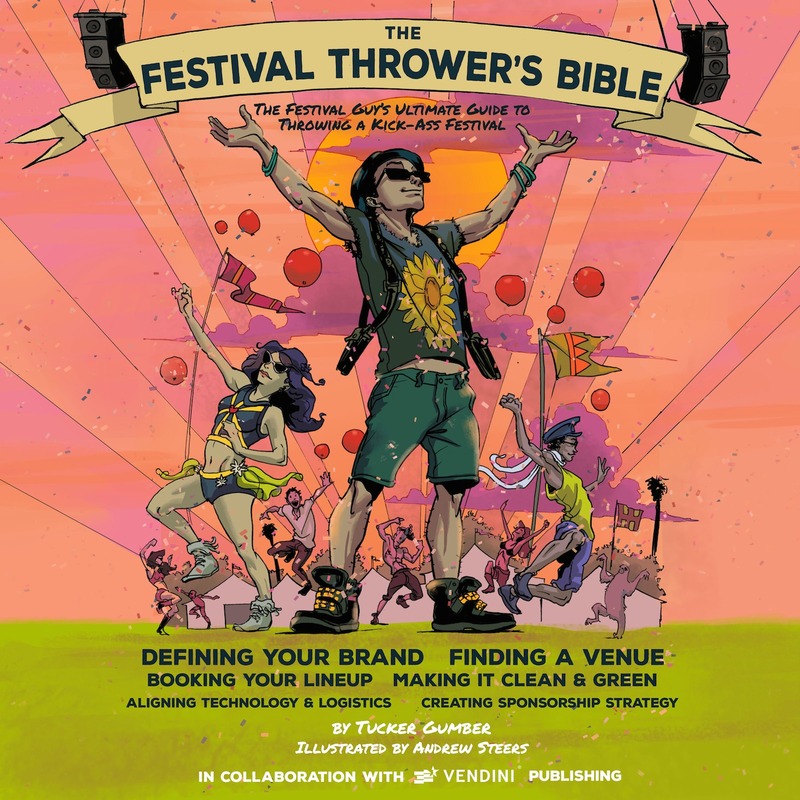 On his way to present on a panel at the International Music Festival Conference in San Diego, we caught up with Tucker Gumber and he took some time to speak on some of the challenges facing the festival community, his evolving app for festival­-goers – FestEvo – and his upcoming book, The Festival Throwers Bible. There are two major challenges the community must solve, according to Gumber. “The first is the amount of trash created and not properly disposed of. This issue leaves the venues filled with trash and pointless waste. I’ve come across so many discarded full water bottles, cigarette butts and red cups, it’s disgusting.” The sheer volume produced could be measured in tonnage and most festivals either shell out an unpredictable sum to cleanup or they leave it and risk being berated by the venue owners. But Gumber believes that the best way to address the problem is to up the ante on our cleanup efforts. This year at Northern Nights Music Festival, Gumber got on stage after the final act had concluded and asked the entire crowd to participate in a pickup effort on the spot. Within moments, everyone had trash in his or her hand and the grounds were far more pristine than they were just moments earlier. At Sasquatch! 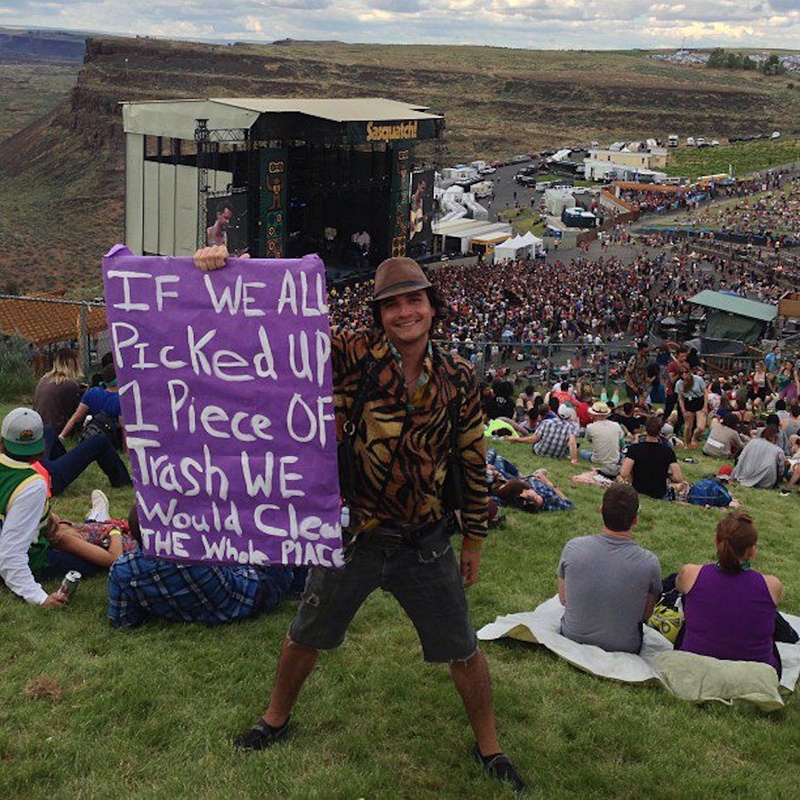 in 2013 and Voodoo Experience in 2014, he proved his theory again by making some simple signage and asking people to participate by bringing him their trash. In addition to cleaning up the venue a number of people cheered, high‐fived and shuffled the trash away on their own. The second challenge for festivals, according to Gumber, is that the festival industry is “top ­heavy.” By this, he means “the amount of festivals continue to rise while the number of headliners has not.” With so few headliners to go around, the cost of booking great talent is getting more and more competitive, which the gets reflected in the price of tickets for attendees . All of this, Gumber says, “has made it really difficult for festivals to actually make a profit off their events. If the festivals don’t make a profit, they’ll be forced to stop their events, which is a major bummer for all of us festival lovers.” While festivals wrangle their costs, Gumber has developed the FestEvo app as a tool to “festival better” so that festival­-goers can explore new music so they can spend their entire festival watching artists they love, while discovering new ones. What's marvelous about The Festival Guy is that he never had any training in app building or creating websites. He simply made the decision to dedicate himself to making the thing he loved most even better. As a result, artists are connecting in more ways with their fans, festivals are creating more sustainable environments, and festies everywhere are having a lot more fun.